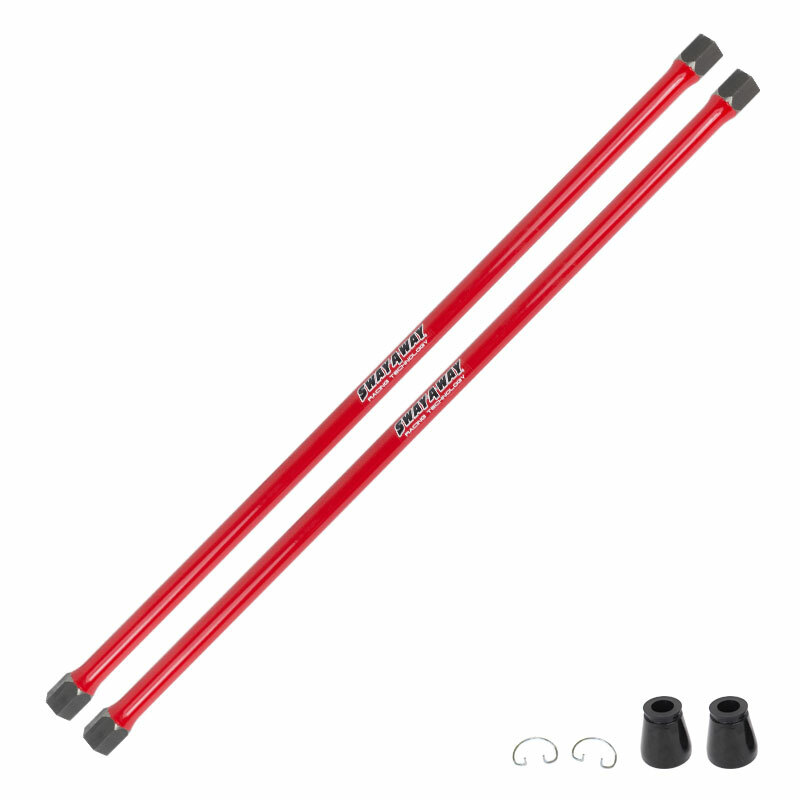 Sway-A-Way’s high-performance torsion bars designed for MOPAR A, B, and E body vehicles. Engineered to provide a substantial increase in stiffness, Sway-A-Way’s MOPAR torsion bars will dramatically improve your vehicle’s handling by reducing body roll, dive, squat, and increasing your overall vehicle control. All torsion bars are clocked to allow for factory ride height within the adjustment range of the factory adjuster. Included with all Sway-A-Way MOPAR torsion bars are two polyurethane bushings and two circlip retaining rings. Whether you’re looking to stiffen up your daily driver, build a dedicated track car or anywhere in-between, Sway-A-Way offers sizes ranging from 1.03” to 1.24”, allowing you to source the correct bar for your application.